Forty-eight Jewish families living in Central New York were interviewed about the development of their ethnic identity. Within each family, parents and children were asked about how they developed their ethnic identity to explore qualitatively how Jewish identity shapes and influences family dynamics. The semi-structured family interviews were coded using a constant comparison methodology. Seven qualitative categories emerged (gendered decisions, negotiating continuity, family of origin, survivors, active learning, traditions, and cultural religion). 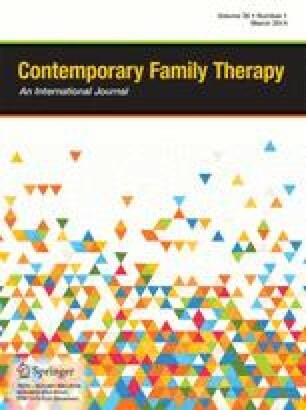 Jewish identity formation in families and the implications for clinical practice are explored.